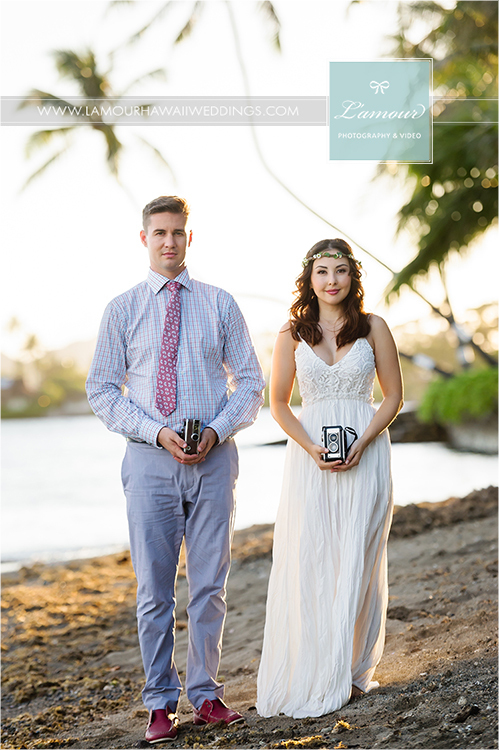 We are honored to announce that L’amour Photography has been featured in the Real Weddings article in the latest edition of Pacific Weddings Magazine Summer/Fall 2010. 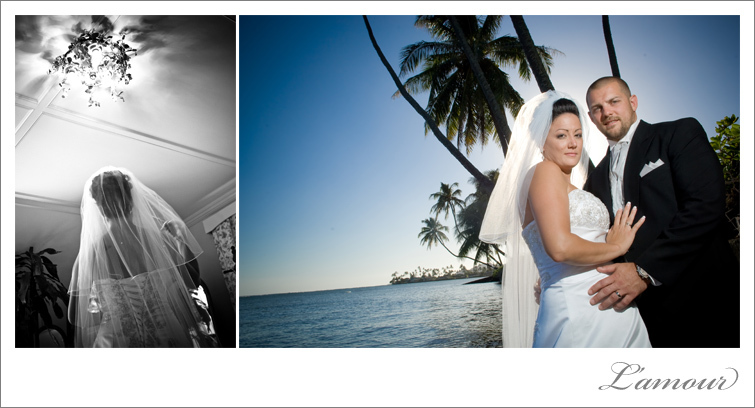 Michelle and Mark were such an amazing couple, beautiful inside and out. 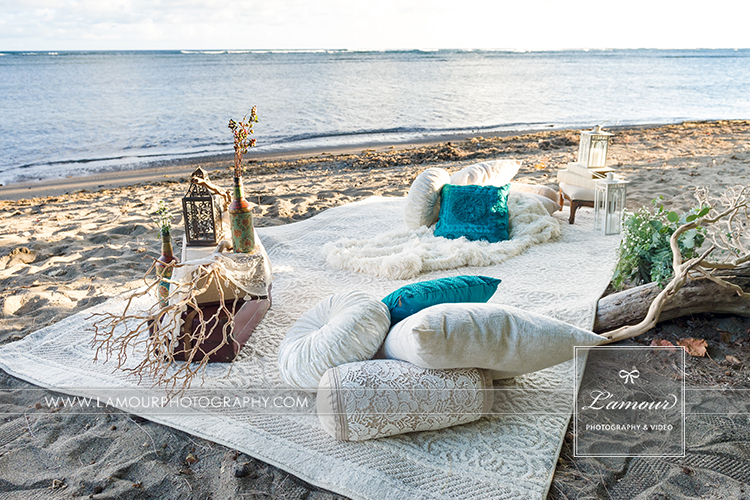 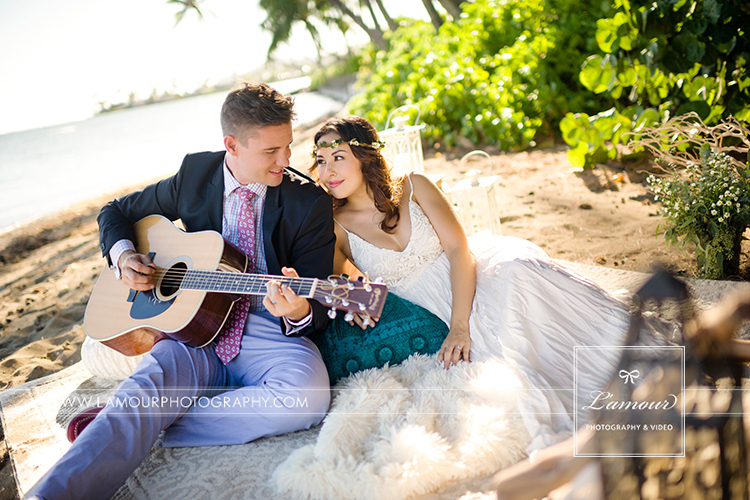 Their Hawaii destination wedding was held at the historic Bayer Estate with a turquoise blue and ivory color scheme adding vibrance to starfish and sand dollar accents of their beach themed wedding. 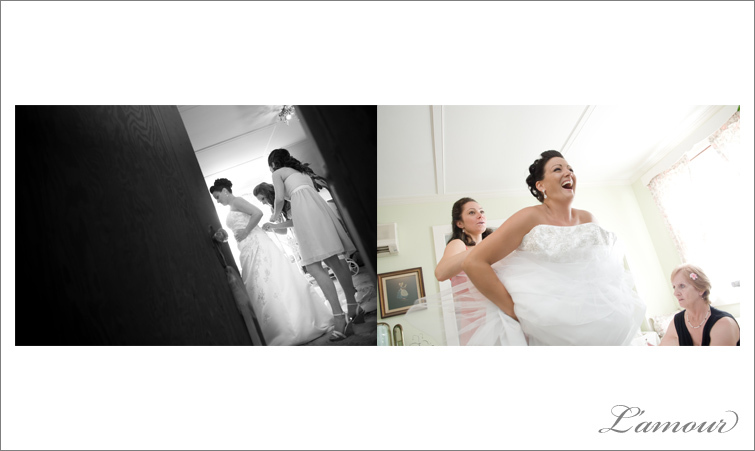 Michelle looked classic and elegant in her cream colored wedding dress which Michelle had altered to fit her dreams of the perfect wedding dress. 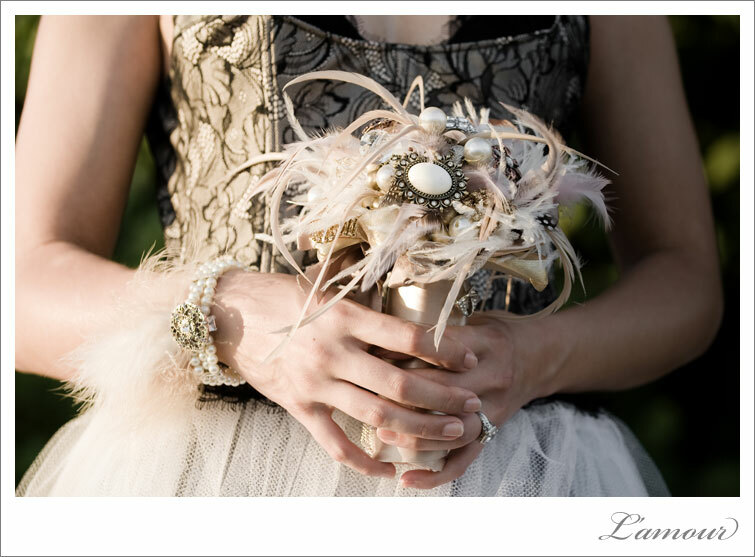 She had the front of the skirt of her wedding dress shortened, showcasing her Badgley Mischka shoes, and each layer of her voluminous dress was lined with satin ribbon. 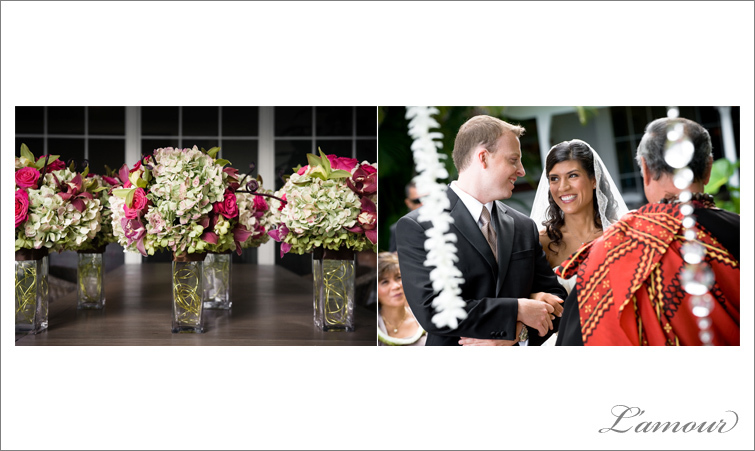 This fashionable bride worked with Designs by Hemmingway for her wedding flowers and decided to go with a simple white orchid corsage instead of the traditional wedding bouquet. 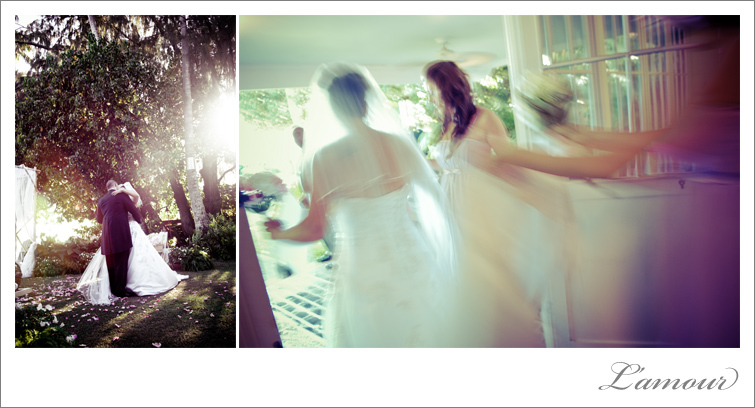 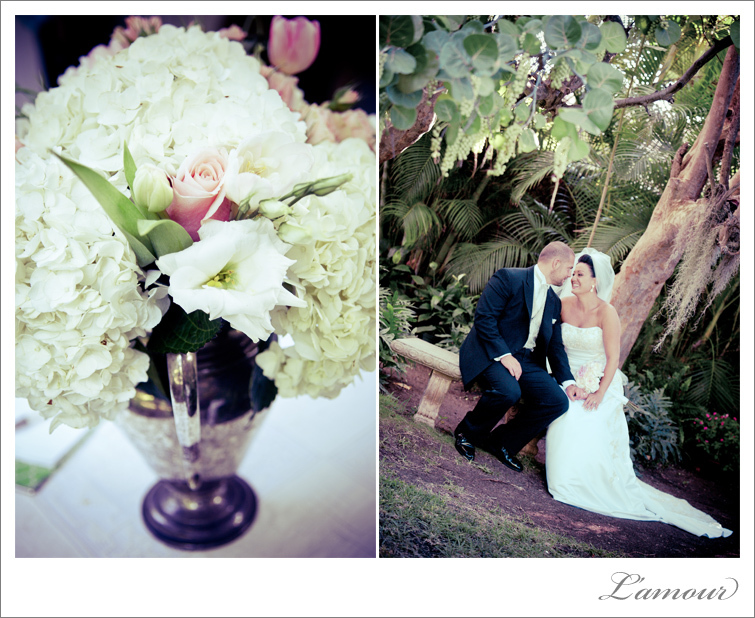 Stay tuned for more on this beautiful wedding. 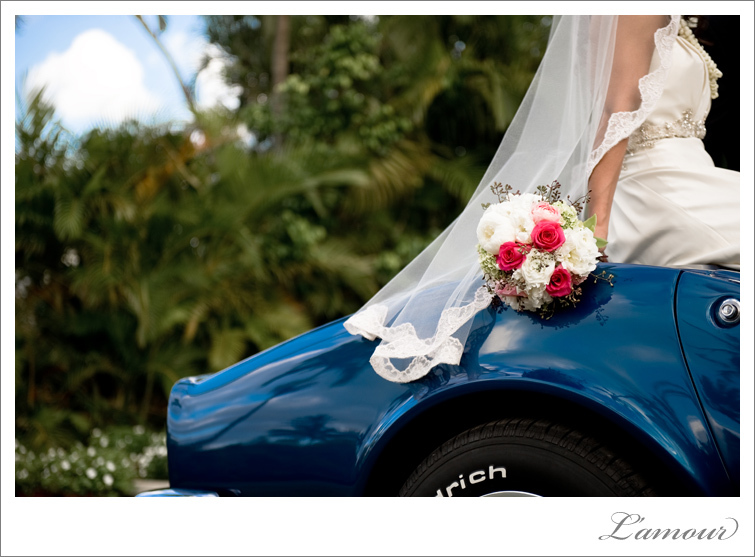 When this destination wedding couple asked us to incorporate their relative’s blue corvette into their wedding portraits, we definitely jumped on the chance. 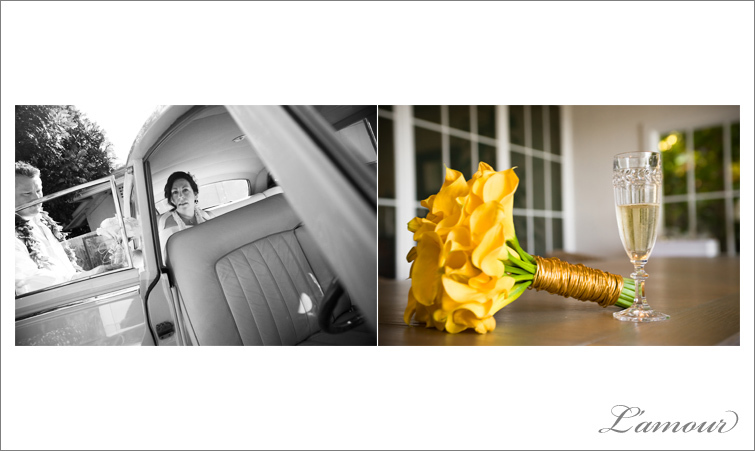 We absolutely loved capturing the bride and groom enjoying their first few moments of married life around this awesome car. 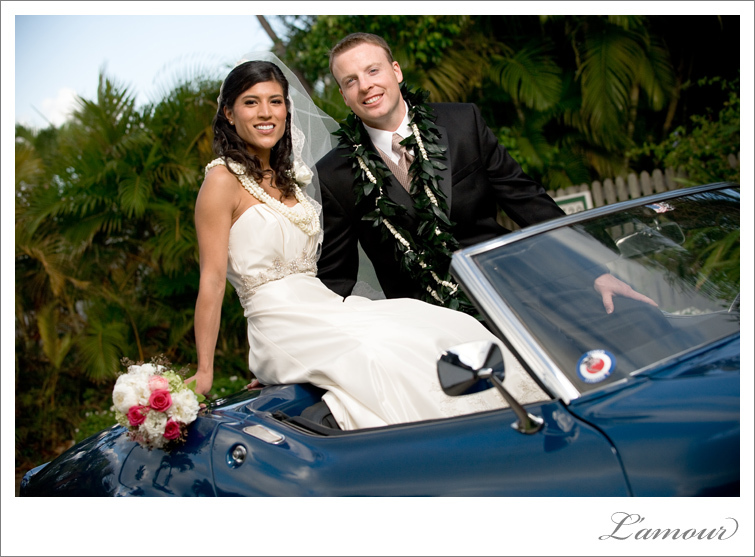 The bright contrasting colors of the blue car and the pink flowers were an added splash of color to this elegant Hawaii wedding at Bayer Estate in Honolulu. 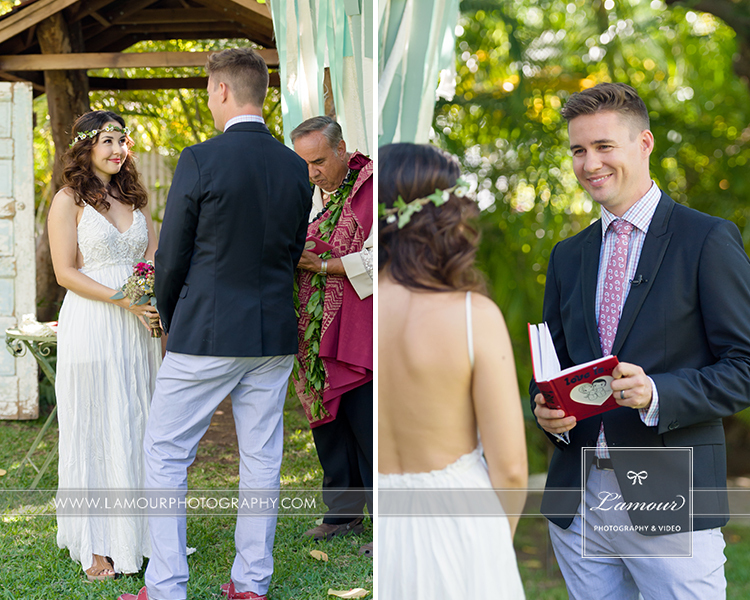 L’Amour Photography’s team just wrapped up at Karen and Mark’s Hawaii Wedding a few hours ago, but we just couldn’t help ourselves. 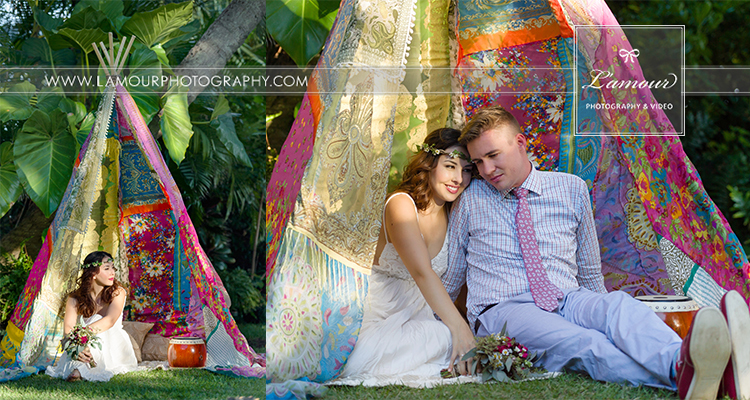 Here is a sneak peek of some of their wedding photos from their beautiful private wedding at Bayer Estate just outside of Honolulu on Oahu. 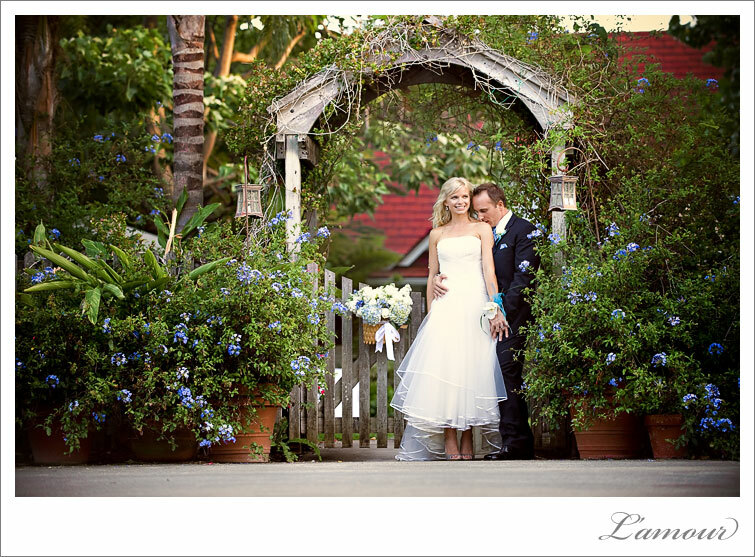 This destination wedding couple had a small but beautiful ceremony at the historic Bayer Estate. 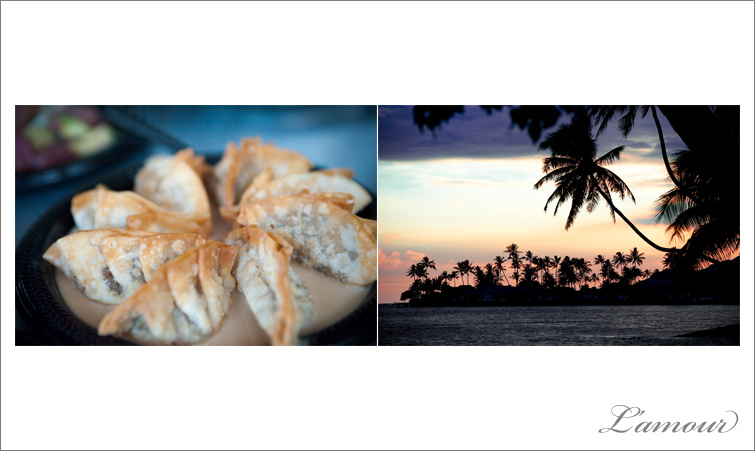 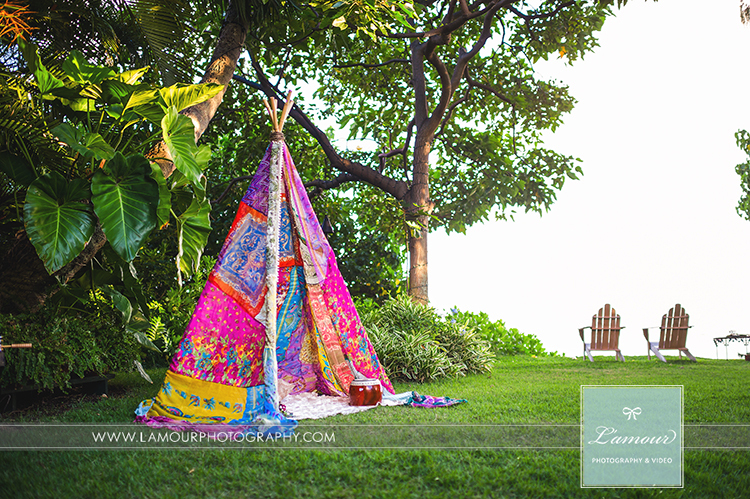 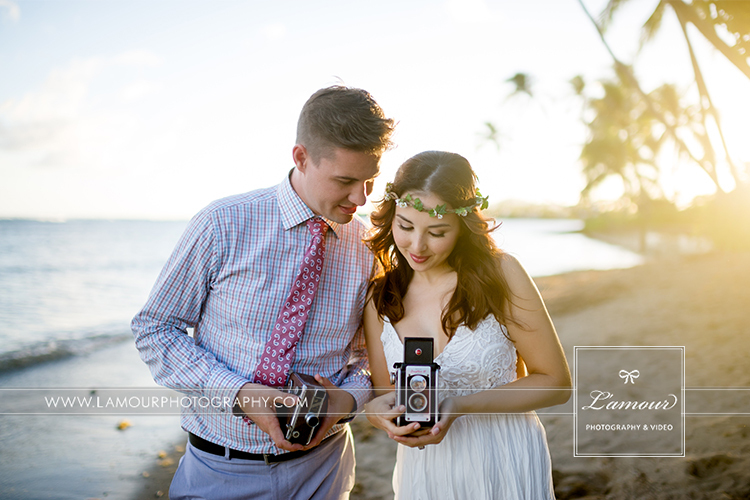 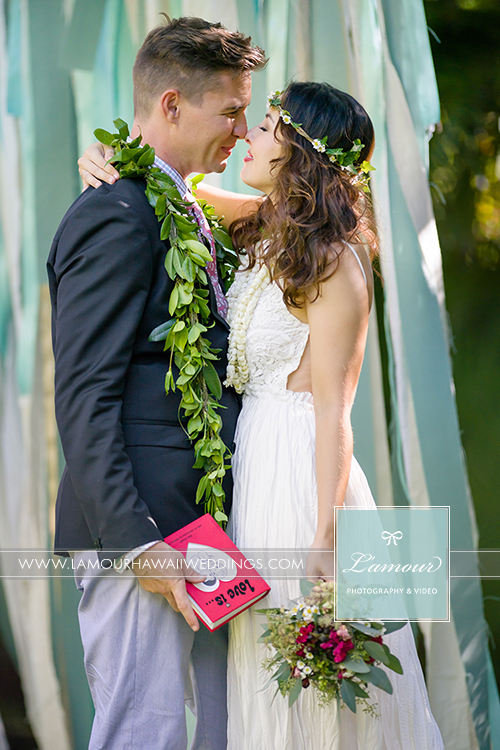 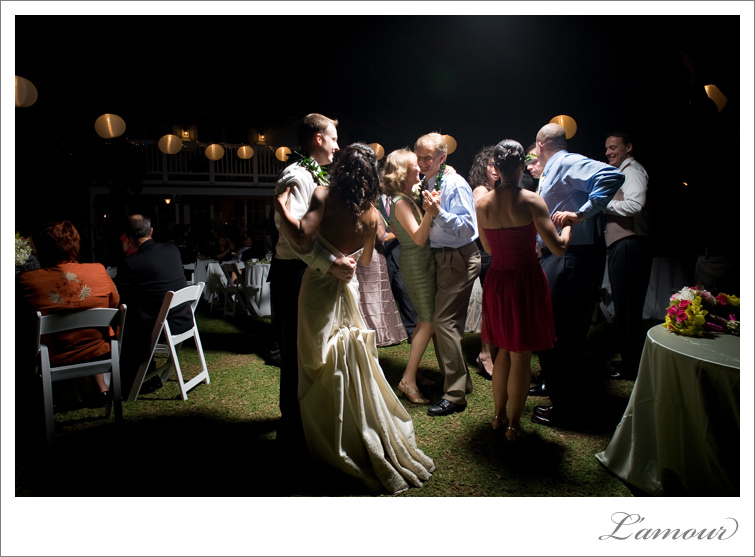 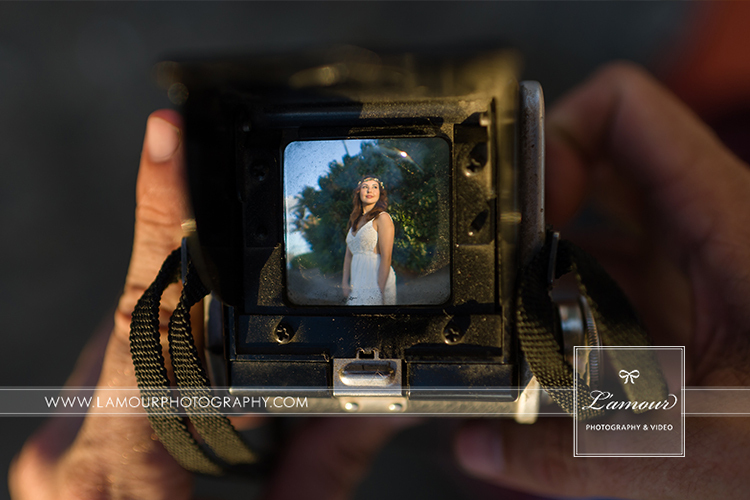 Hawaii Wedding Photographers – L’Amour’s Daily Shot of Love – I DO! 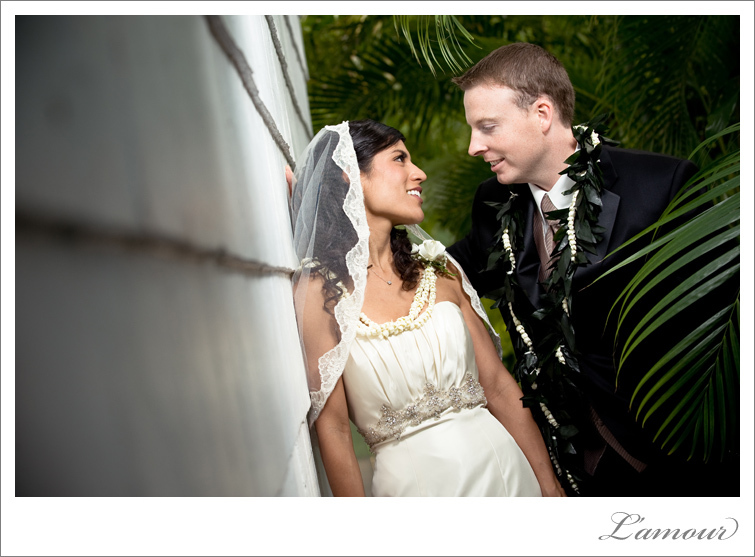 We had such a great time at Karen and Mark’s Hawaii Destination Wedding at the Bayer Estate today, that we decided to use one of their wedding portraits as our daily shot. 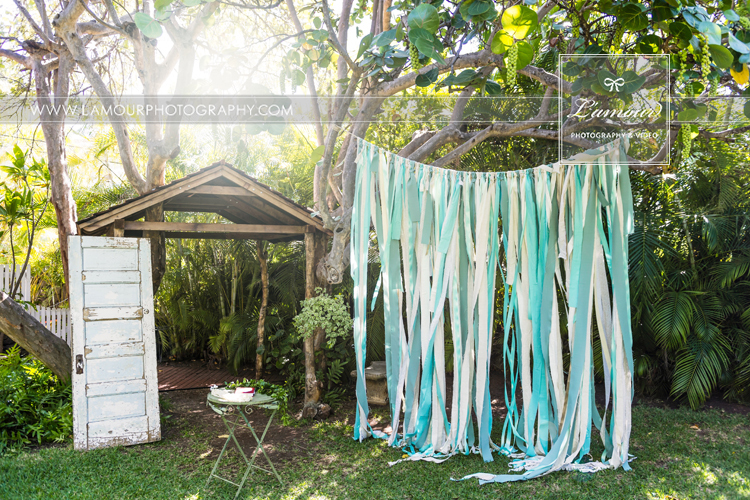 This creative bride’s “something blue” really made a statement! 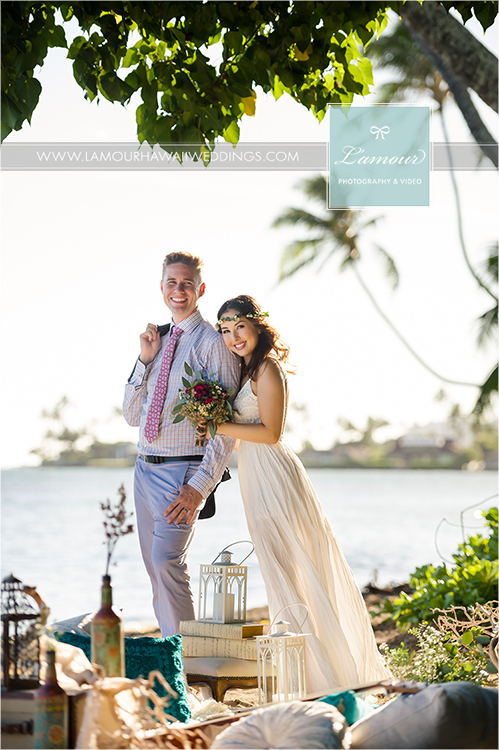 The bride’s soles of her ivory wedding shoes were adorned with sparkly blue lettering on one shoe that says ” I DO” and the date of their Hawaii wedding on the other shoe. 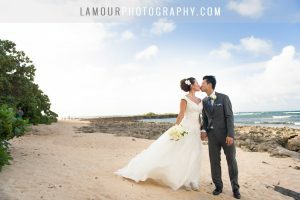 Congratulations to this destination bride and groom all the way from New Jersey on their first day as husband and wife. 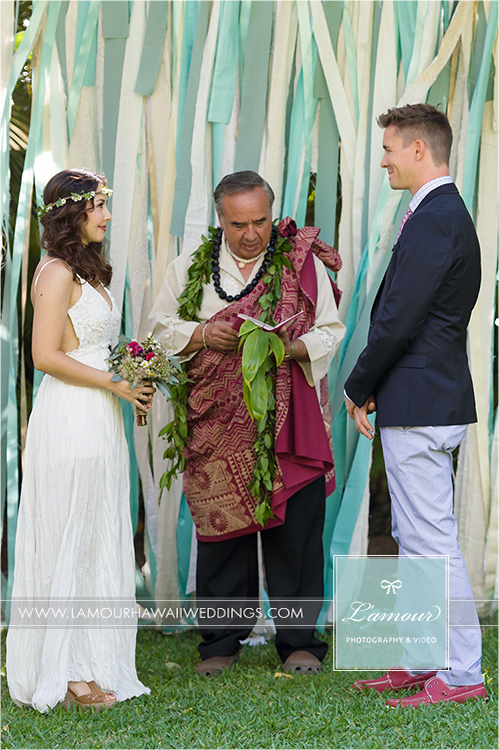 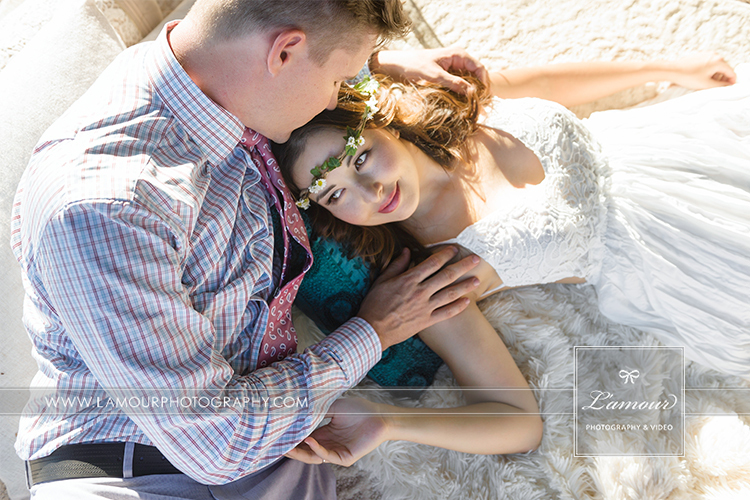 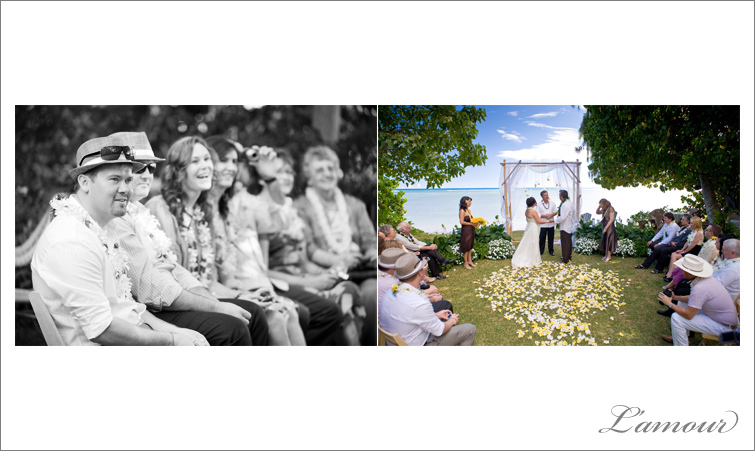 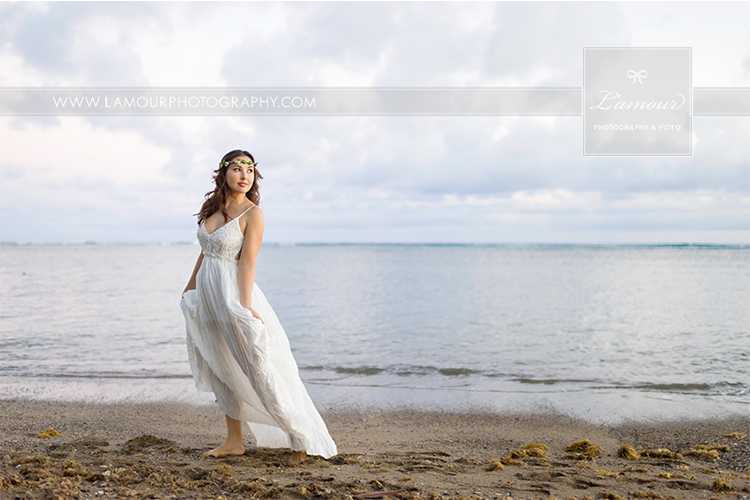 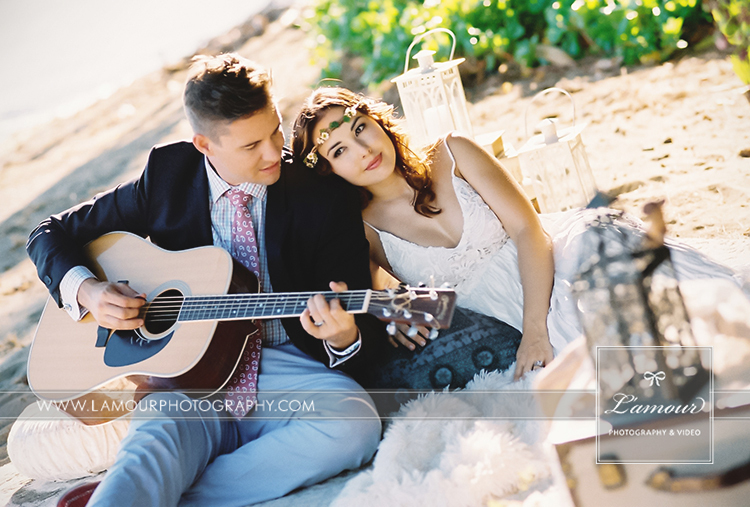 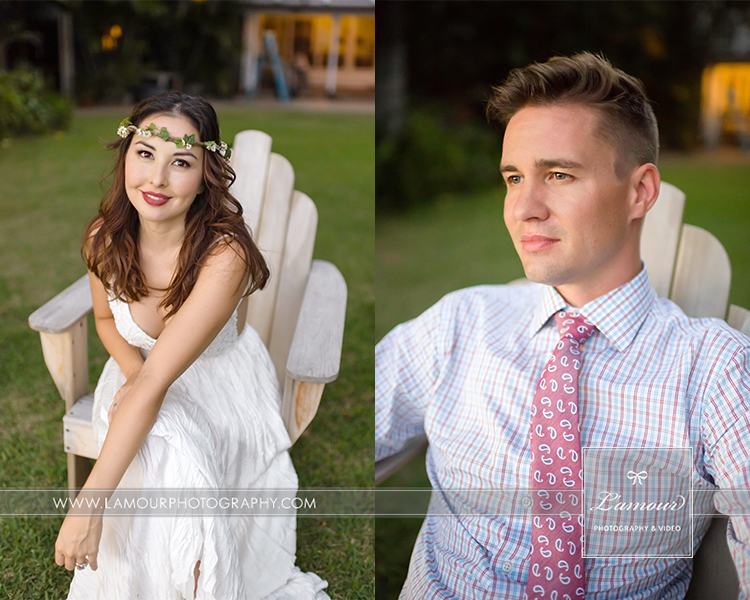 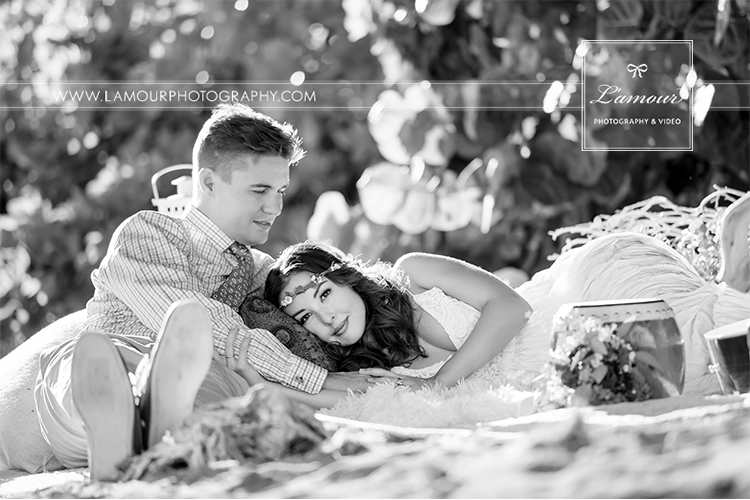 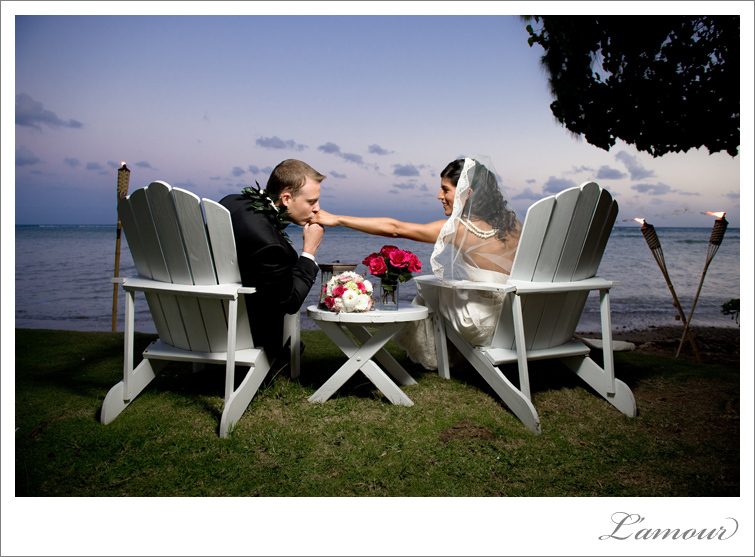 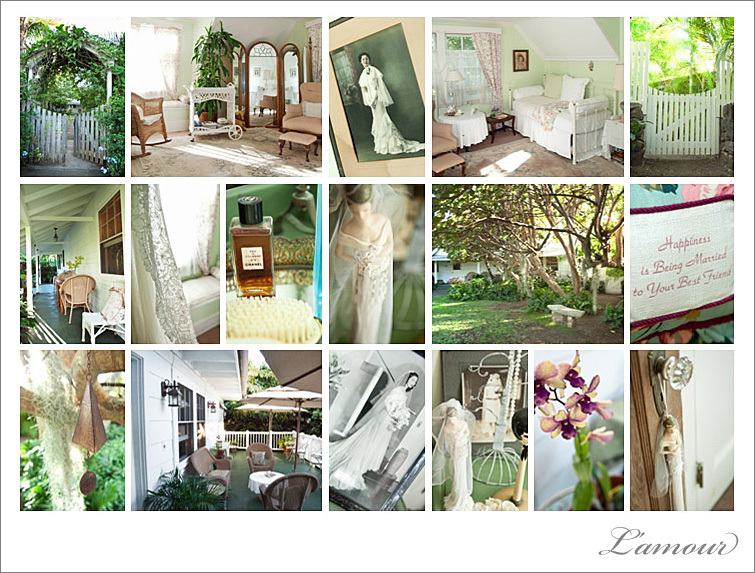 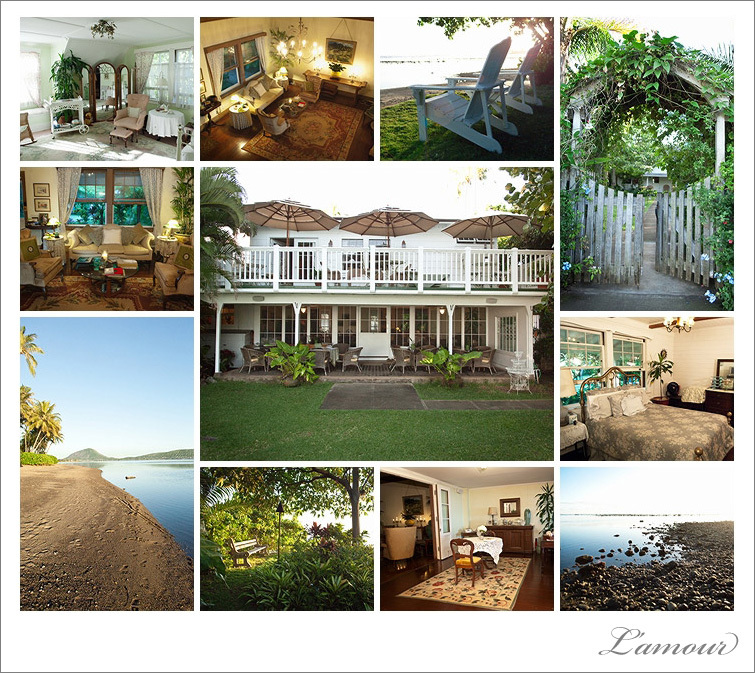 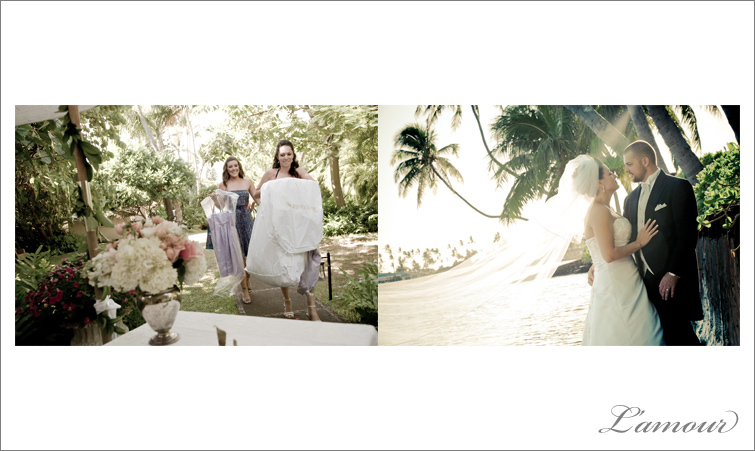 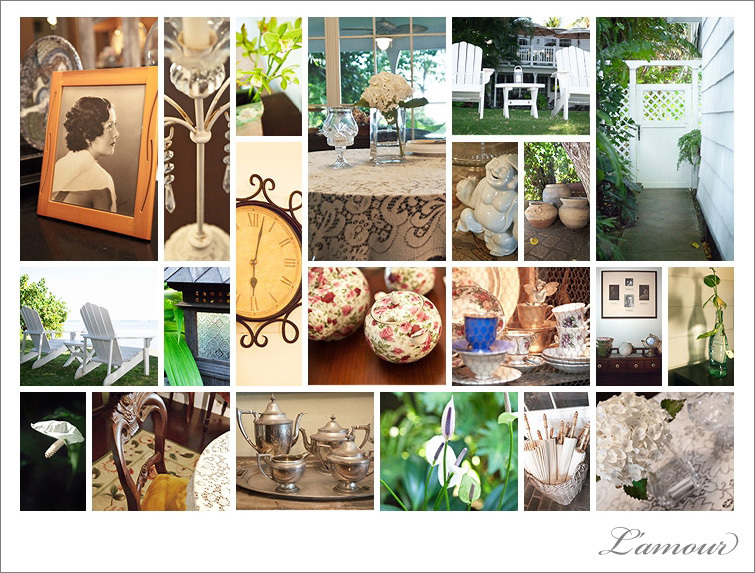 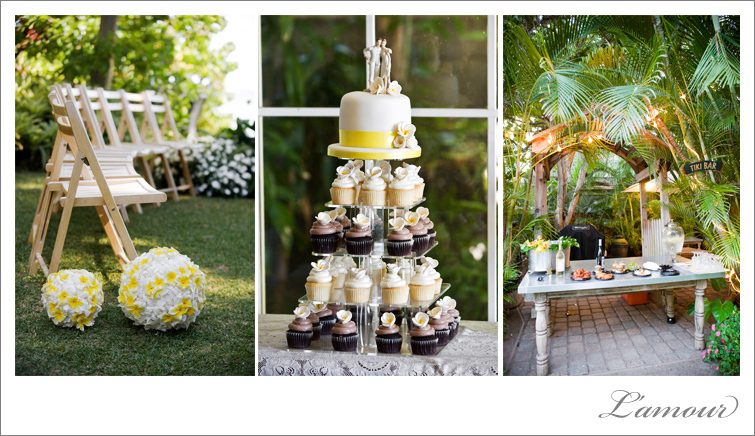 Hawaii Wedding Photography by L’Amour’s accomplished team of photographers. 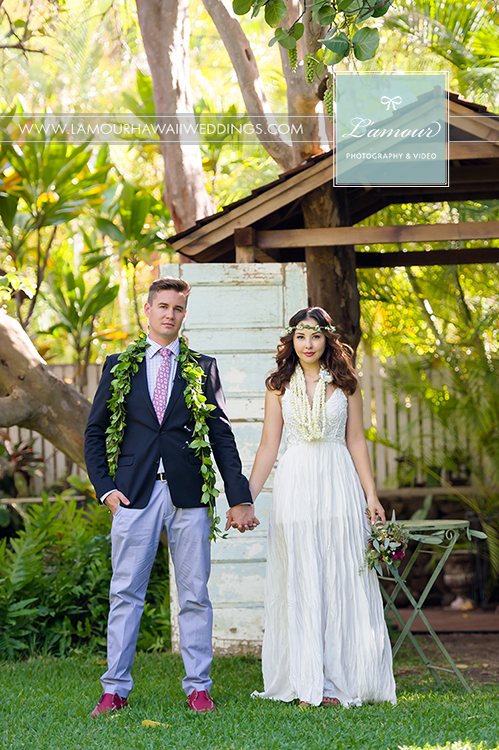 Based in Honolulu on Oahu and available on all islands as well as worldwide.